Successful blogging is about more than just producing high-quality content. Part of the key to success is promoting the content to maximise discovery. 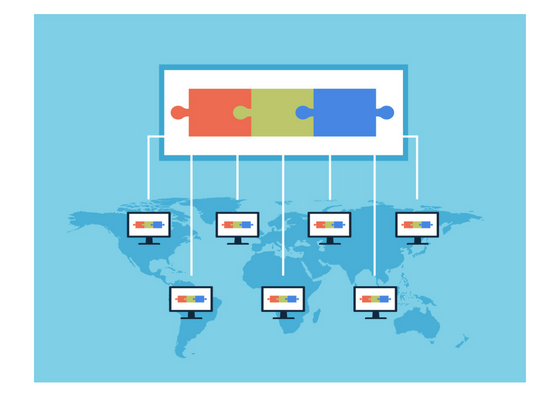 Your website is only one place your audience might discover your content, but there are actually great free blogging platforms where you can share your content for a wider audience to see. One of which is Medium. If you regularly read blog posts then you’ll have probably come across Medium before without even realising it. The popular platform boasts 60 million monthly users, with an average of 140,000 stories written weekly. Journalists, bloggers, brands, companies or anyone can publish articles on Medium. There’s a diverse range of content, from short to long pieces, humorous to serious and teaser posts to in-depth articles. You can produce content almost about anything, any brand can sign up to Medium and start producing content a moment later. Managing copy on Medium couldn’t be any simpler. It allows easy creation of content, without the need for several plugins and add-ons. You can republish existing blog posts (using the import feature), but you can also use Medium to share snippets of a post and direct them to your website to read the content in full. Whilst Medium makes the publishing experience really quick, it doesn’t offer all the benefits of WordPress, for example. You don’t need to install a bunch of plugins and add-ons like you do on WordPress, but you’re limited to personalisation and branding. Besides from the engaging words you use, it’s actually quite hard to stand out on Medium, since the layout is pretty standard and there is very limited customisation. Once you’ve produced your content you can submit it with up to 5 tags, which organise articles into different categories. Users can find tags they’re interested in, like Digital Marketing, Google Analytics and Social Media. You can use up to 5 tags per post, making it a lot easier for your content to reach your intended audience on Medium. Like Twitter and Facebook, users can choose to follow all your updates. You’ll have access to key metrics about each piece of content you publish. 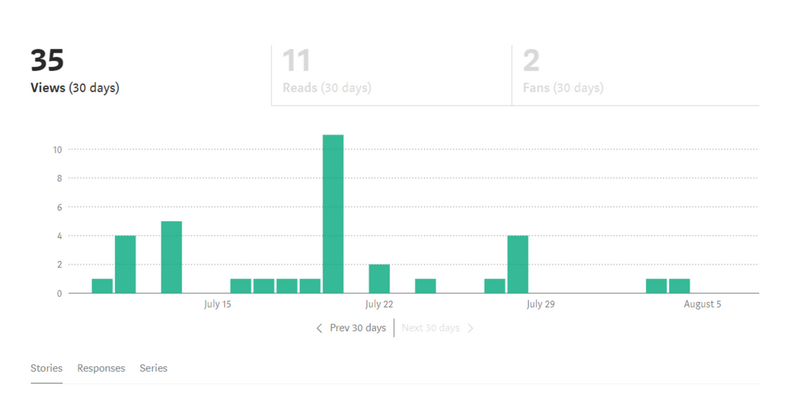 Once clicking to view your stats you’ll see a graph which represents your last 30 days. You can also see your previous 30 days or click on a specific piece of content to see its traffic for the last 30 days. 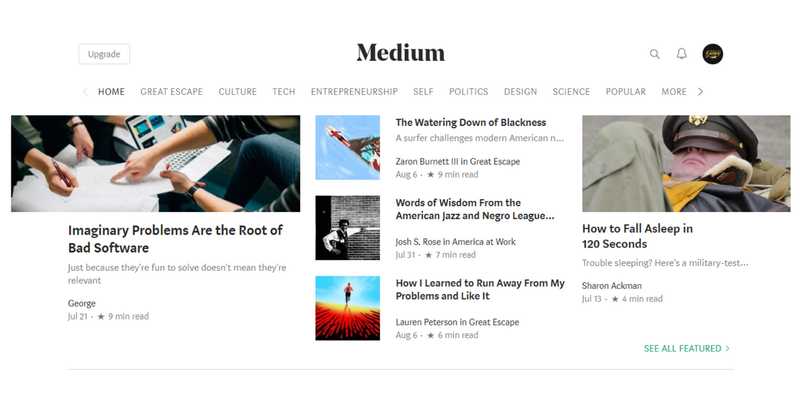 For small businesses or start-ups, Medium removes the pressure of building, designing and running your own blog. If you aren’t ready to commit to running your own blog, then Medium is a good place to start for content distribution. Like any platform, it’s always a bit of a gamble to put your content completely in the hands of a different company. But Medium as a brand has an abundance of regular engaged readers, so it can really help you reach parts of your target audience who you otherwise may not have. For businesses who regularly blog (like us), Medium is another form of content distribution that can’t be missed. Businesses shouldn’t miss the opportunity to get their content in front of the target market, in a highly targeted way.